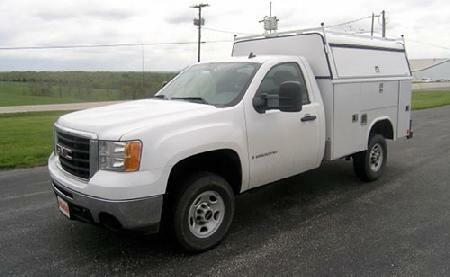 23"tall, Truck cap for 8' Service Body, Solid front, Full length side doors, Standard H rack. Top is approx. 78" wide x 98" long.